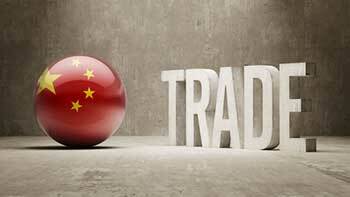 Why Work Through a China Trading Company? Occasionally, a customer will ask us why we work through a China trading company instead of direct with the factory. In their February 28, 2011 edition, Businessweek reported that around 2,300 vendors were found to have been scamming global buyers though the largest e-commerce site in China. If you don’t know who you’re dealing with in China, the chances you will get burned are high. We only work through a China Trading company that we have a strong relationship with and know we can trust. Our three trading partner companies will prequalify the factories by calling them and asking them the right questions about their capabilities and manufacturing process. This is critical; when you decide to go it alone, you won’t know if you’re dealing with a factory, a trading company, or a guy sitting in his apartment with a PC. Picture a Chinese businessman coming to the U.S. and trying to buy or sell a new product line. He doesn’t know where to go or how the culture works. He fumbles around, not knowing whether the company he’s working with is reputable or if they will do what they promise. The American business culture is strange to him and he finds it weird, maybe even rude, that they don’t invite him to a banquet. It’s the same if you go to China on your own. Chinese businesspersons don’t think or conduct business like we do. In the U.S. if a factory messes up an order they can get sued. In China, the factory will just walk if there’s a problem; there’s little that can be done about it. Having a China trading company on the ground who knows the Chinese business culture provides a great advantage over going it alone. Here again, having someone on the ground in China is invaluable. It’s far better to have a Chinese person negotiating with a Chinese company than an American. Although we do everything we can to avoid problems, in the rare occasion that you might receive defective product not made to the written specifications you provided us prior to production, our partner companies will negotiate getting replacement product from the factory. Having someone you can trust means you won’t get burned. We’ve been in business since 1991 and our approach is to work for long term relationships. We’ve wouldn’t have been around for more than 20 years if our customers didn’t continue to work with us.